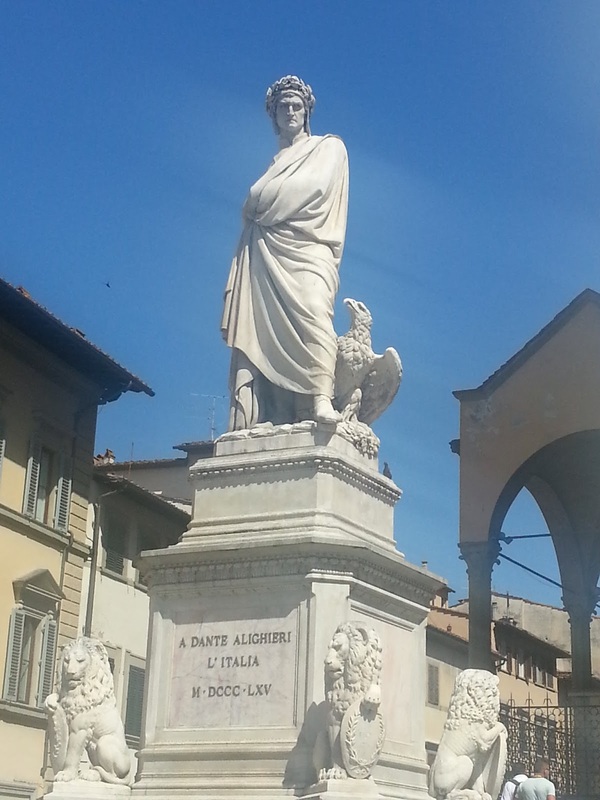 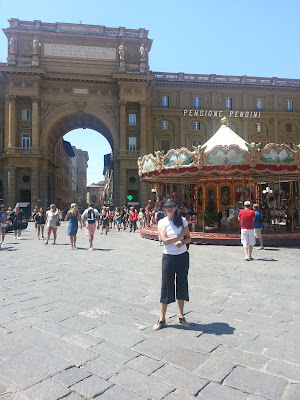 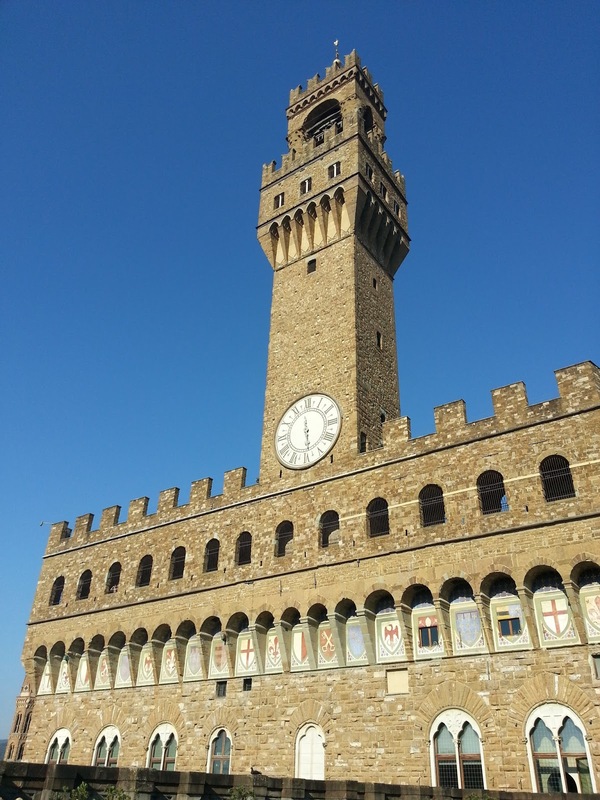 Today, I hope you'll enjoy these pictures from our visit to Florence. 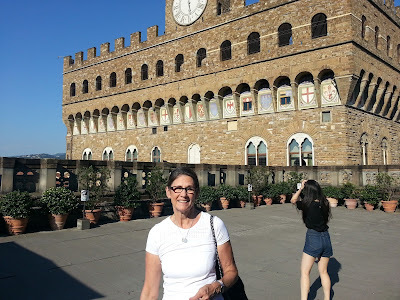 After five days in Rome, we boarded the train for a ninety minute trip to Florence. 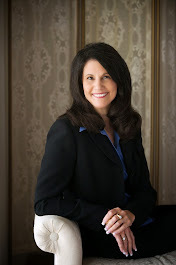 Our hotel was located on a cobblestone street in center city among centuries our buildings, churches, and museums. 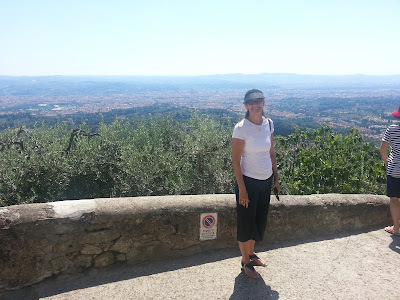 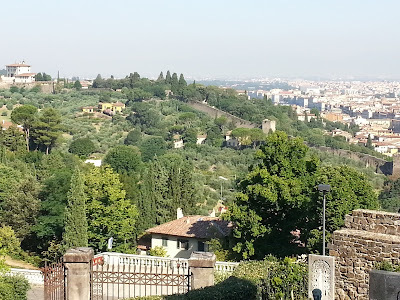 After exploring the city on our own following our arrival, we were picked up and taken on a scenic journey to Fiesole, a charming town in the hills of the Arno Valley. 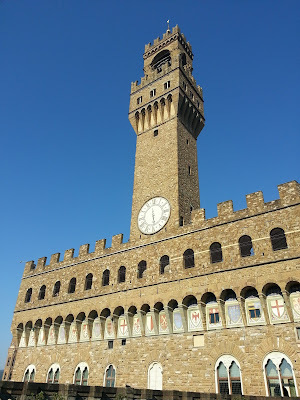 We returned to the city and toured the Uffizi Gallery to see masterpieces by Leonardo da Vinci, Raphael, Botticelli, Michelangelo and Giotto. Our guide was extremely knowledge, which increased our enjoyment of the tour. The next morning we were driven up to the Piazzale Michelangelo for an unbeatable view of the city. 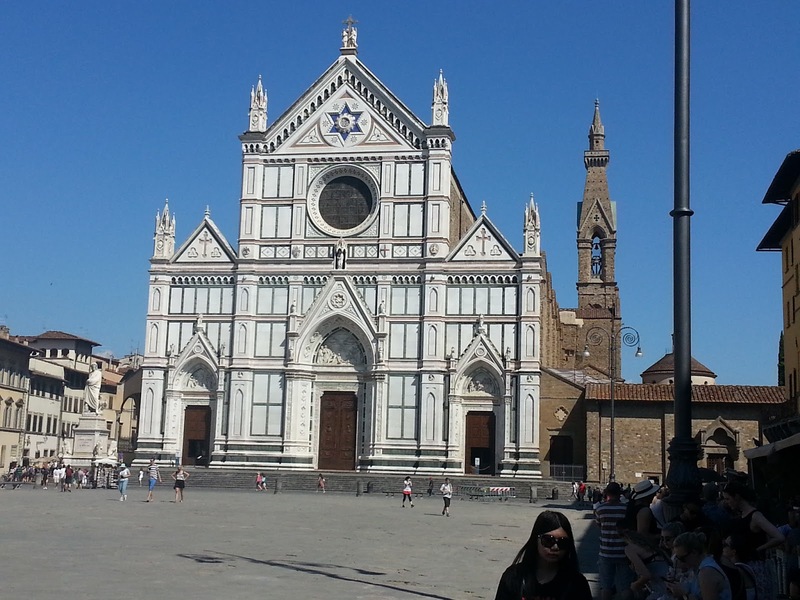 After enjoying the view and taking pictures, we returned to city center and toured the Piazza del Duomo, including the bronze doors of the Baptistery, Giotto's Bell Tower and the outside of the Cathedral, with its iconic dome designed by Brunelleschi. Then the highlight of the tour—the Accademia Gallery to see Michelangelo’s David. 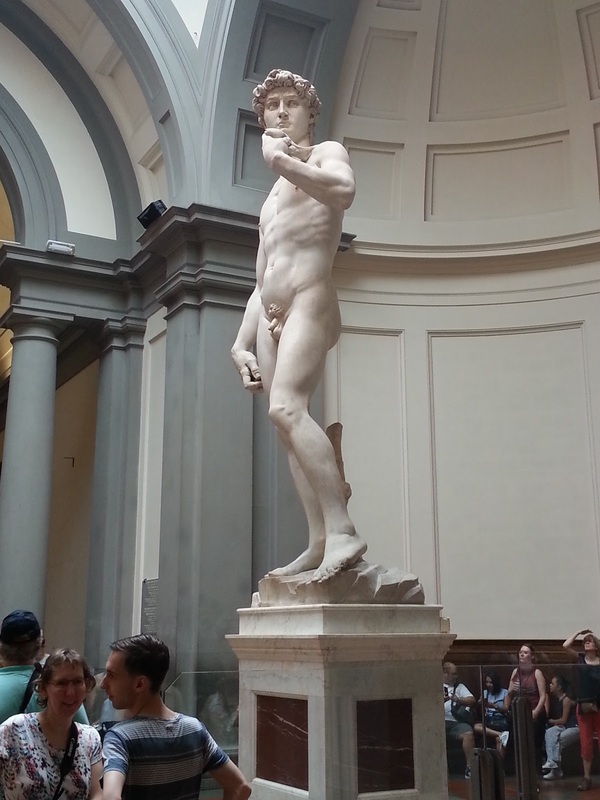 When I turned the corner and saw the David for the first time, I almost dropped to my knees. 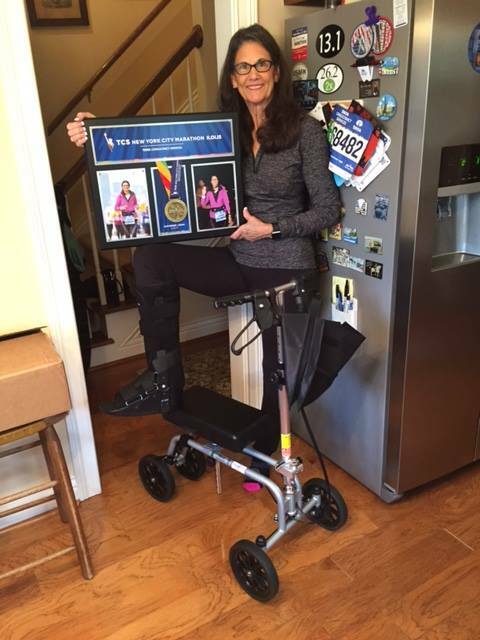 It was one of the most powerful experiences in my life. 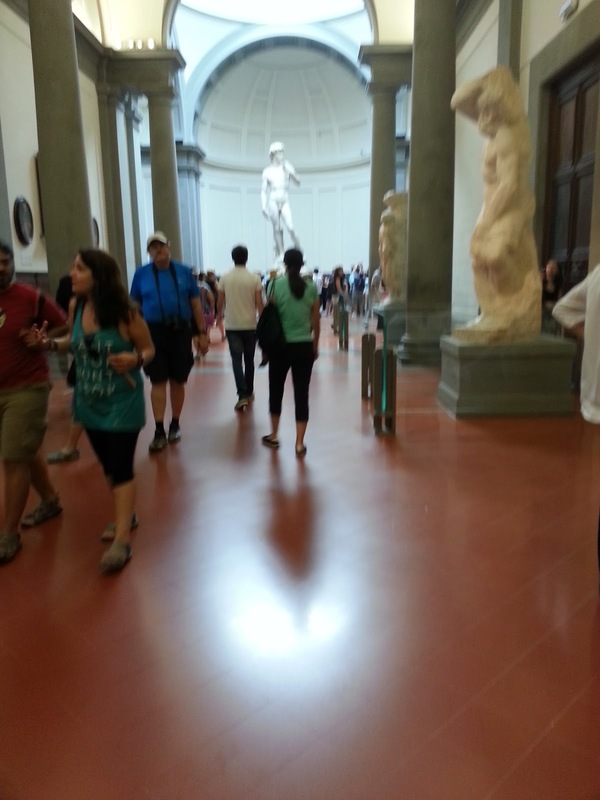 I couldn’t take my eyes off of the statue. 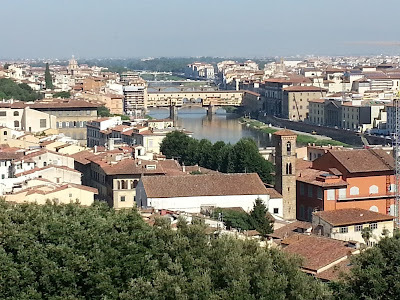 Tomorrow, I’ll share our adventure to Pisa. 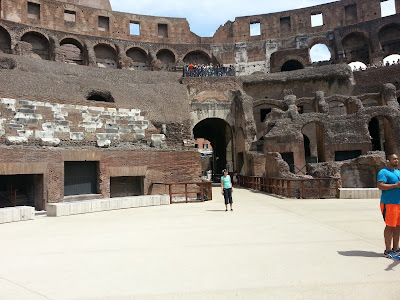 VIP Colosseum Underground Tour with Roman Forum & Palatine Hill: When I first entered the Colosseum, I was blown away by the size. 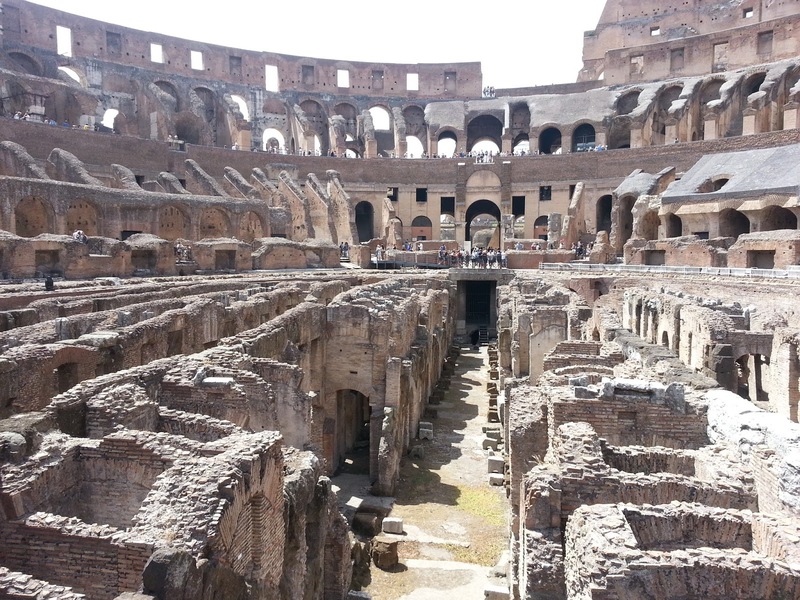 It was interesting to hear the history and to discover that most of the destruction occurred because of recycling the materials to use in other buildings. 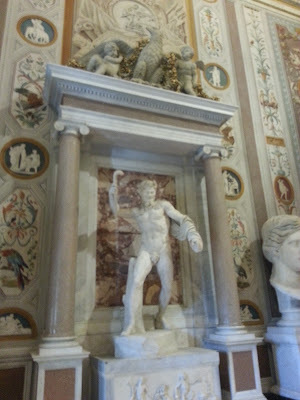 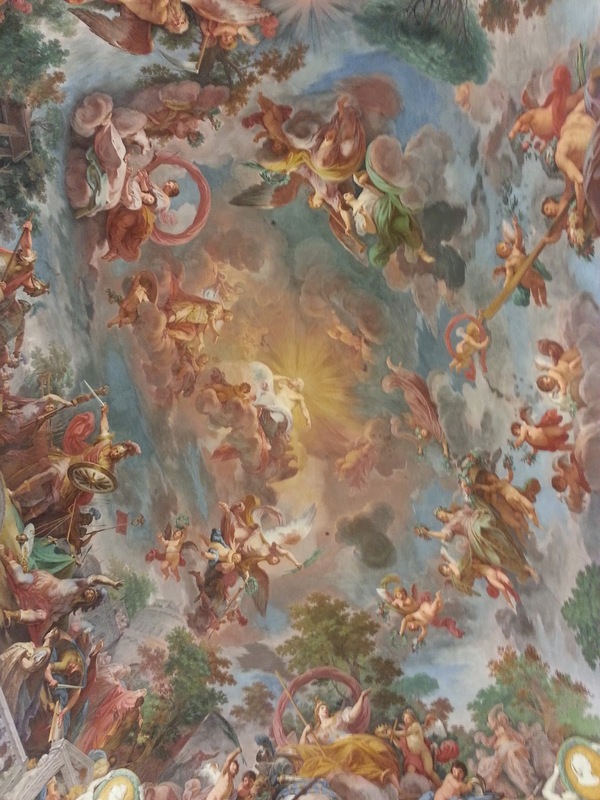 Tour of the Borghese Gallery: The gallery houses a vast and diverse collection of sculptures and paintings produced by masters such as Bernini, Canova, Caravaggio, Raphael and Titian. Our guide was extremely knowledgeable, and I loved hearing about the history of the artists and their paintings. 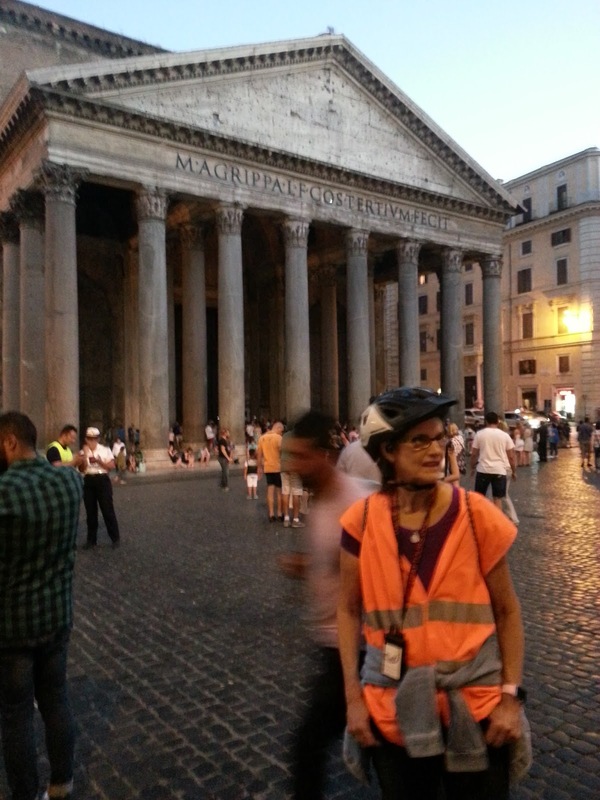 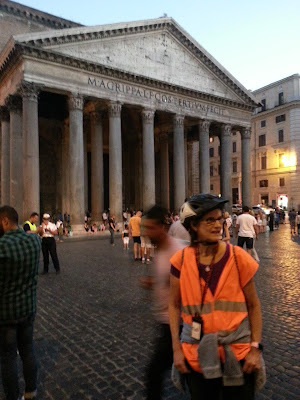 Rome Night Segway Tour: This was 2.5 hour tour of Rome’s landmarks, cruising by the Trevi Fountain, Spanish Steps, Pantheon and Temple of Hadrian. 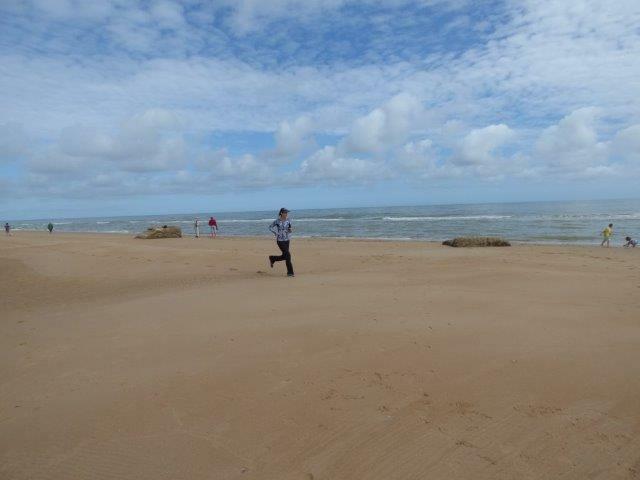 And was a blast! 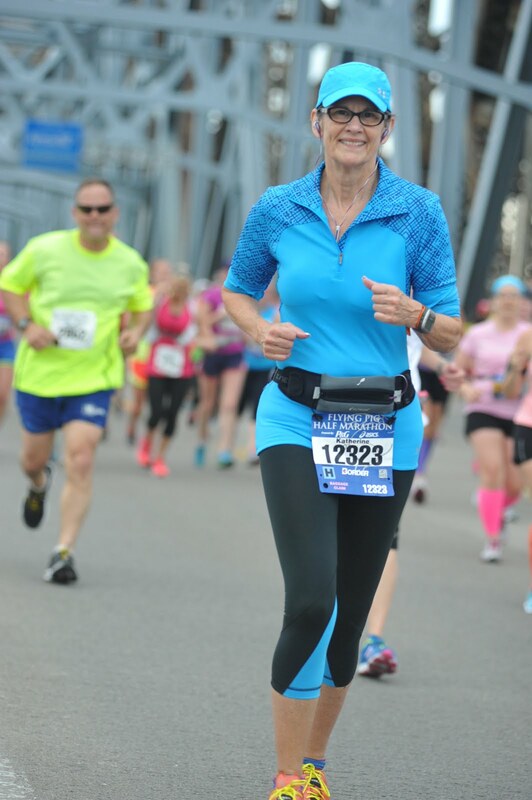 Yep, I look a bit goofy, but I had so much fun! 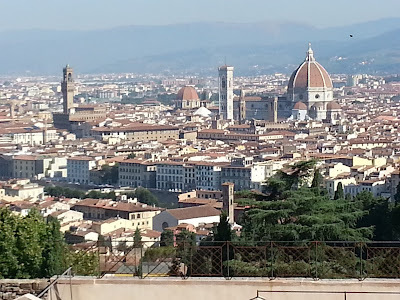 Tomorrow I'll share pictures from our visit to Florence. 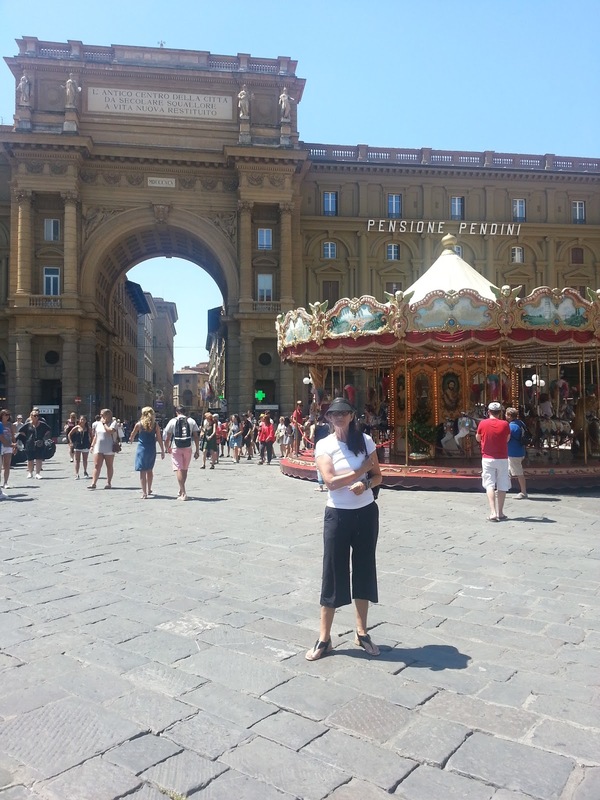 I’ve been on a sixteen-day research trip to Italy working on THE PEARL BROOCH, a renaissance time travel romance set in 1600. 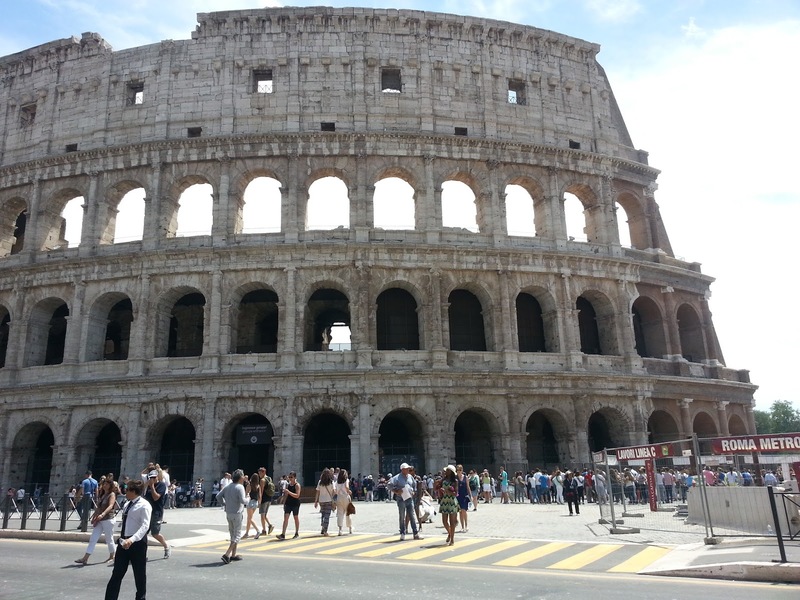 We landed in Rome where we spent five days before traveling on to Florence, Venice and Milan. 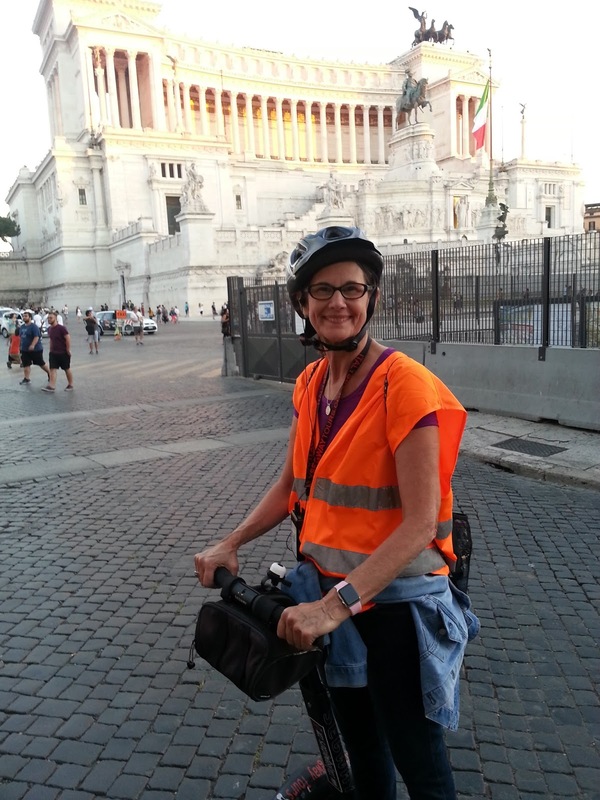 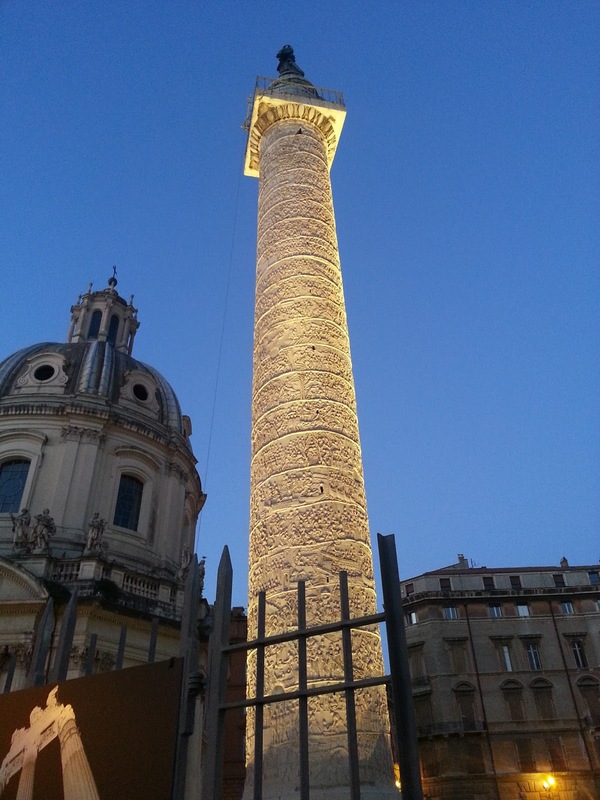 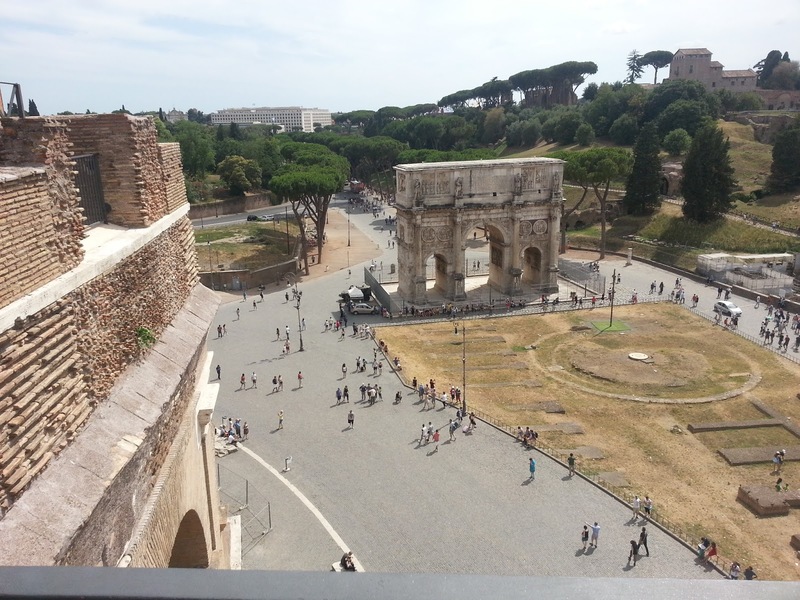 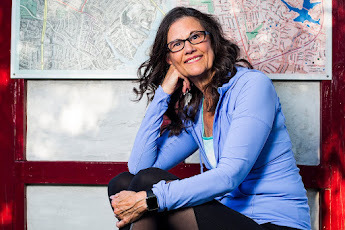 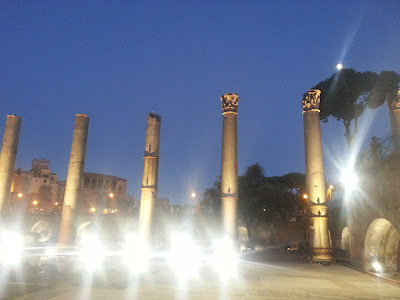 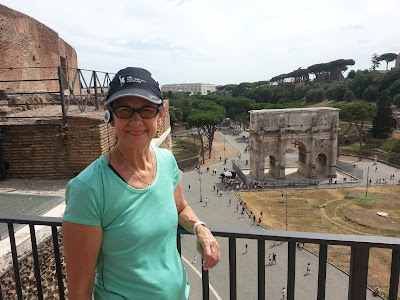 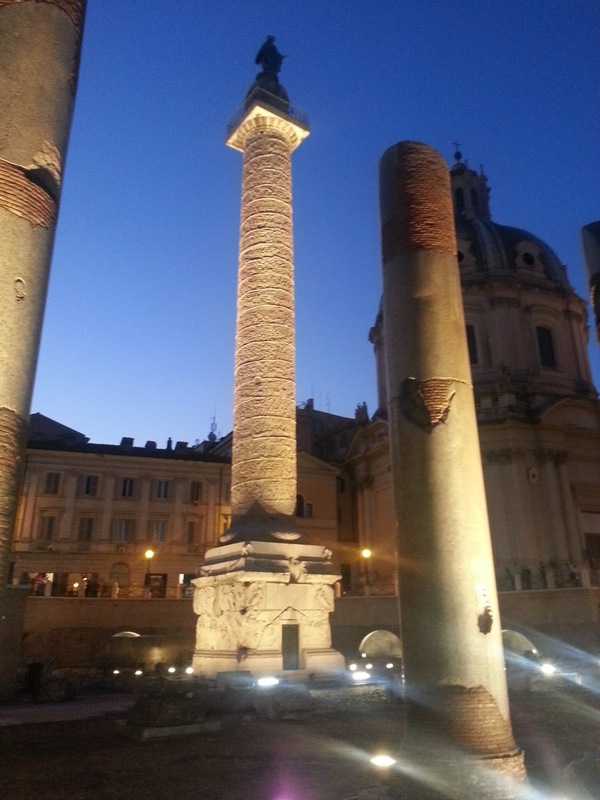 3-hour Rome tour and delivery to hotel: My first breathtaking “look” at Rome, came from atop one of its hills, followed by highlights of Rome historical sites. 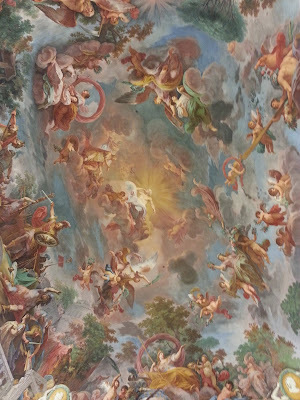 Exclusive Breakfast at the Vatican with Early Access to Vatican Museum and Sistine Chapel: After breakfast with a small group, we boarded an open-air bus and drove through the absolutely gorgeous gardens and heard stories about the history. 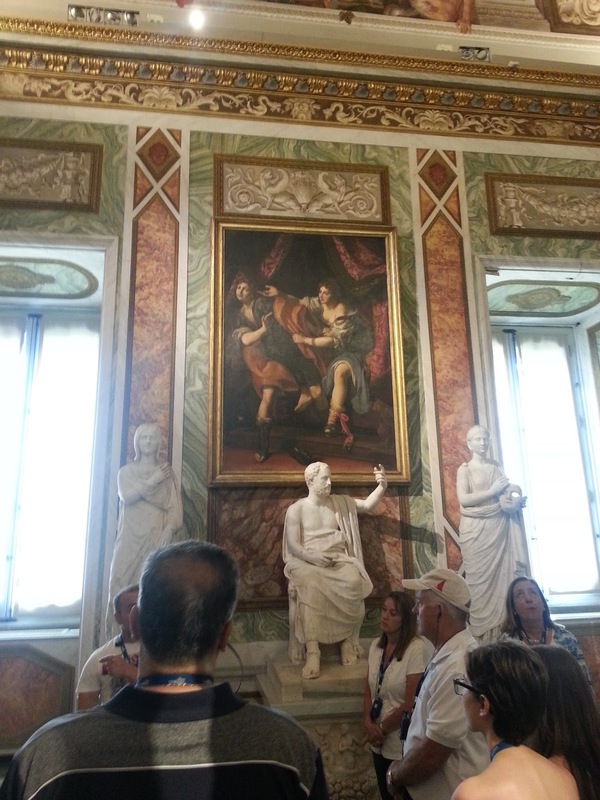 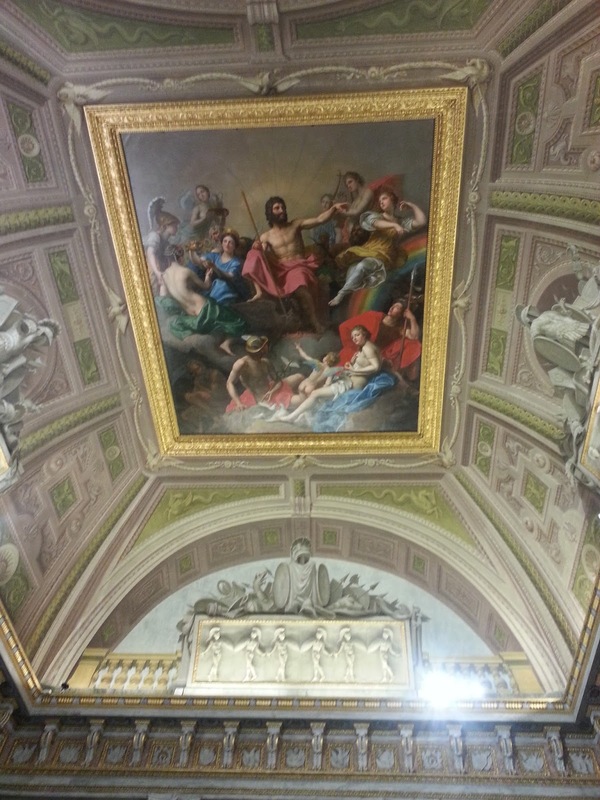 The garden tour was followed by a tour of the Museums, Sistine Chapel and Raphael’s Rooms and St. Peter’s Basilica. Tomorrow, I’ll share more pictures from Rome.